I know it's healthy to have a full grasp of my own sinfulness. I do sometimes think that because I avoid certain sins that I am one of the good guys in your world. But there are no good guys and bad guys from your perspective. We are all just sinners loved by you. You elevate what I call little sins when I am being self-righteous and you erase what I call big sins when I feel shame. 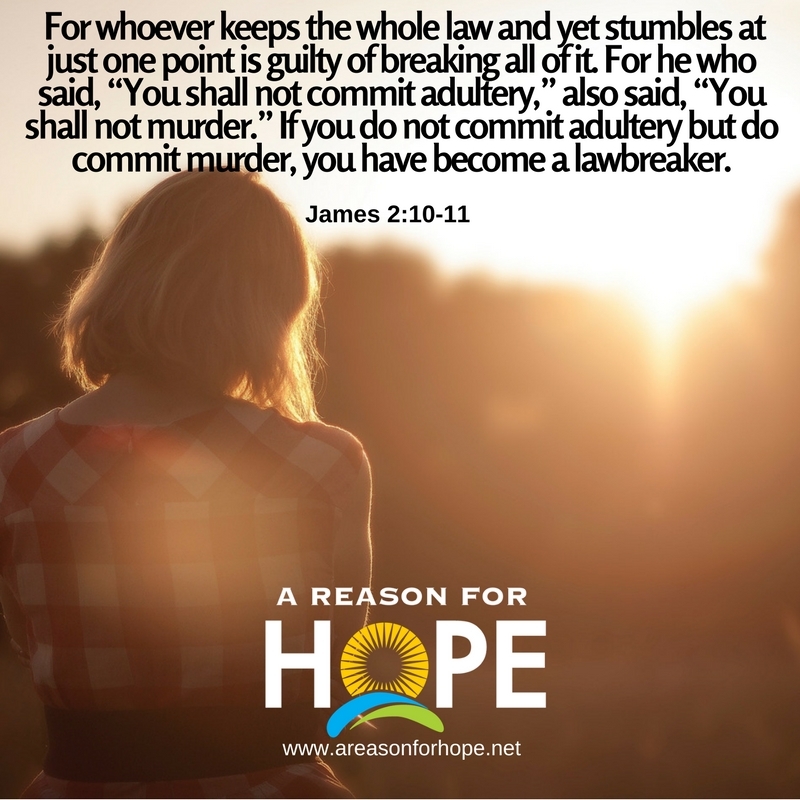 I am a redeemed law-breaker. Thank you for giving me the gospel that gives me God-born thoughts to straighten out mine. I will strive to live honestly and hopefully today because of your law and gospel. A Christian is someone who is honest with themselves about their need for forgiveness and gracious to themselves because of the gift of Christ.